New text features Milt’s work. 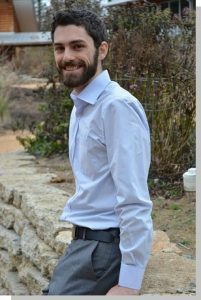 Congratulations to former NIMBioS graduate research assistant Austin Milt whose dissertation research recently appeared in a new major text for conservation planning. 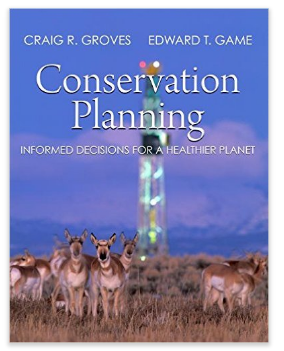 Conservation Planning: Informed Decisions for a Healthier Planet by Craig R. Groves and Edward T. Game is a new resource for practitioners, students, or researchers of conservation, natural resource management, or landscape planning and architecture. It includes methods, tools, approaches and case studies in nature conservation. Milt’s model, a decision support tool called Bungee — Balancing Unconventional Natural Gas Extraction and the Environment — is featured in a one-page color spread in the text. The tool is an example of conservation planning software that uses optimization to trace a tradeoff space for a multi-objective conservation problem. students and conservation practitioners the world over,” said Paul Armsworth, Milt’s former adviser in UT’s Ecology & Evolutionary Biology Department. Milt, now a postdoctoral researcher at the Center for Limnology at the University of Wisconsin-Madison, published a one-page color has had a productive year, with several other publications, including “Performance of a cap and trade system for managing environmental impacts of shale gas surface infrastructure” with Armsworth, in the proofing stage at Ecological Economics, and “The costs of avoiding environmental impacts from shale-gas surface infrastructure” in Conservation Biology (press release here).